In their recent history of Canadian children’s illustrated books, Gail Edwards and Judith Saltman observe that “the children’s literature of a nation is a microcosm of that country’s literary and sociocultural values, beliefs, themes, and images, including those of geography, history, and identity.” This lecture explores the importance of regional Atlantic Canadian children’s literature and the development of Sea Stacks, an authoritative web-based resource featuring information on and about Atlantic Canadian books, authors and illustrators for children and youth. Sea Stacks includes comprehensive annotated bibliographies of primary texts, author and illustrator profiles, videotaped interviews, analysis, and criticism. This presentation illustrates the use of Sea Stacks for research and concludes with a discussion of the relevance of Ian McKay’s provocative 1994 text The Quest for the Folk: Antimodernism and Cultural Selection in Twentieth-Century Nova Scotia to an analysis of contemporary Nova Scotian picture books. This talk is hosted by the iSchool at the University of British Columbia. Vivian Howard is associate professor in the School of Information Management and Associate Dean Academic of the Faculty of Management at Dalhousie University. Her research interests include barriers and motivators for pleasure reading, particularly for young readers; social reading initiatives; and Atlantic Canadian literature for children and teens. She is the editor of the YA Hotline newsletter and is the principal investigator of a research team developing the Sea Stacks website. With 120 million speakers around the world, Punjabi is one of the most commonly spoken languages in Canada. 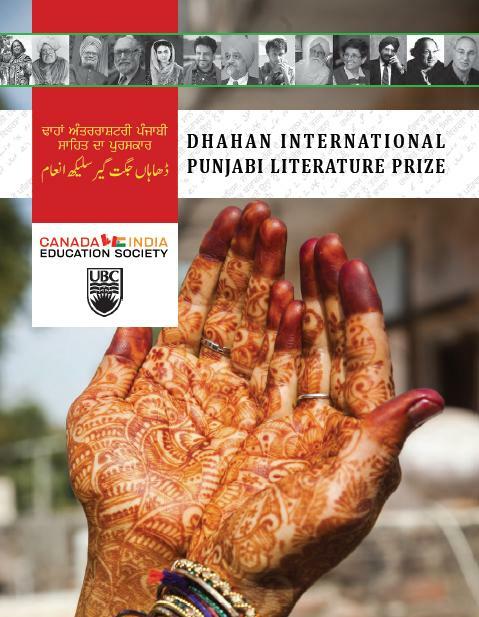 On Tuesday, October 8th, the Dhahan International Punjabi Literature Prize celebrates the Punjabi language, history, and literature at the Irving K. Barber Learning Centre. For more information, please visit the Department of Asian Studies at UBC’s website here. Webcast sponsored by the Irving K. Barber Learning Centre as part of the Robson Reading Series. Al Hunter is an Anishinaabe writer who has published poetry in books and journals around the world, taught extensively, and performed internationally, including, at the International Poetry Festival of Medellin. A member of Rainy River First Nations and former chief, Hunter has expertise in land claims negotiations, and is a longstanding activist on behalf of indigenous rights and wellness, and environmental responsibility. Hunter lives in Manitou Rapids, Rainy River First Nations in Ontario. Webcast sponsored by the Irving K. Barber Learning Centre and hosted by Richmond Public Library as part of the “The Joy Of Reading: Chinese Literature Appreciation” lecture series. This talk focuses on living and writing between two cultures, Chinese and Canadian. Racial hybridity has informed most of Professor Wah’s writing and that of many Chinese-Canadian writers. Wah will read and discuss his own book Diamond Grill (about growing up in a small town Chinese-Canadian restaurant), as well as writings by poets Rita Wong, Larissa Lai, Weyman Chan, and others. He will situate this writing within the recent historical context in North America of “writing through race.” Presented by Canadian Parliamentary Poet Laureate, Professor Emeritus Fred Wah. Canadian Parlimentary Poet Laureate and Emeritus Professor Fred Wah has been writing poetry for over 50 years. Among his list of impressive achievements, Wah has been the recipient of the Governor General’s Award (Waiting in Saskatchewan), Alberta’s Stephanson Award (So Far), the Dorothy Livesay prize for poetry (is a door), Alberta’s Howard O’Hagan Award for short fiction (Diamond Grill), and the Gabrielle Roy Prize for Literary Criticism in English Canada (Faking it: Poetics and Hybridity). Overwrought ballerinas in Various Positions. Anglo-Saxon poetry forged by Curious Masonry. Something Fierce in the history of Chile. Progress choked in a small working-class town. All these titles and the Man Booker Prize for Fiction nominee Esi Edugyan are just some of the delights to come as the Robson Reading Series launches its 2011 fall season. 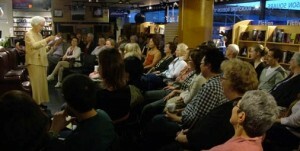 Founded in 2002 as a partnership between UBC Bookstore and UBC Library at Robson Square, the Robson Reading Series is one of the longest-running reading series in Vancouver. The multi-genre series features emerging and established authors from Canada and beyond. Check out some of the events this fall at UBC Library/Bookstore at Robson Square and the Irving K. Barber Learning Centre. The Robson Reading Series gratefully acknowledges the financial support of the Canada Council for the Arts, UBC Bookstore, UBC Library and the Irving K. Barber Learning Centre, and UBC Robson Square. For more information on the authors visit: http://www.ikebarberlearningcentre.ubc.ca/robson.